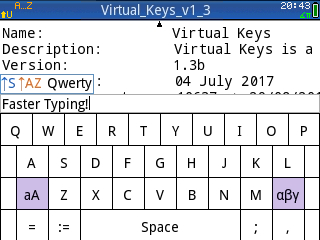 An on-screen virtual keyboard, including QWERTY and Greek layouts. Also includes a version patched to work with ROM version 13333. 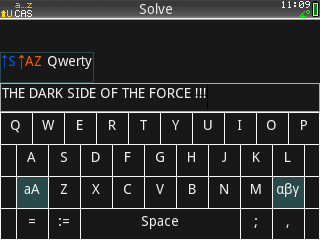 An on-screen virtual keyboard with a dark theme, including QWERTY and Greek layouts.